Cathay Land, the first developer to launch a residential condominium project in the Metro Sta. 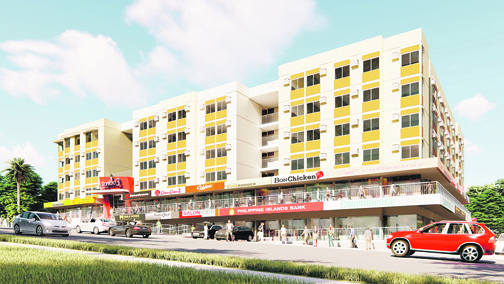 Rosa-Silang-Tagaytay area, recently launched the final project in its Stanford series within South Forbes Golf City. DARING DIP. The climate at Stanford Suites 3 reminds one of Tagaytay’s cool, all-year-round weather. Young residents can brace themselves for a dip at the “aquatrium”, with a soon-to-be-built commercial area at the ground floor. South Forbes Golf City is a sprawling 500-hectare township with communities inspired by modern interpretations of classic architectural themes handpicked from all over the globe. These include modern Asian homes at Bali mansions and Nirwana Bali, Thai abodes at Phuket mansions, serene homes at Tokyo mansions, modern castles at Chateaux de Paris, and classic white beach residences at Miami. 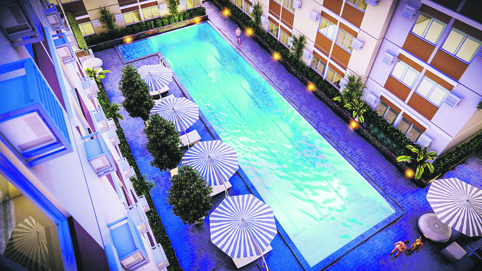 The residential condominiums, meanwhile, offer the modern simplicity of Scandinavian design at Scandia Suites. At Golf View Terraces, residents wake up to views of the township’s award-winning, 18-hole South Forbes Golf Club. Stanford Suites 3 targets young families, retirees and investors given its prime location near Westborough Town Centre, now hosting a Marketplace supermarket and a Coffee Bean shop. Stanford Suites 3 is ideal for parents who have kids studying in nearby St. Scholastica’s College or Learning Links Academy. It is also near St. Benedict Parish. More commercial locators are expected soon in this project. The plans for Stanford Suites 3 involve buildings that will only rise six storeys (housing 331 studio and one-bedroom units), with pocket gardens ensuring constant wind flow throughout the building. “Our introductory price starting at only P1.5 million for a studio unit, with a monthly amortization of about P23,000 for the first year, make Stanford Suites 3 a smart choice for parents and those looking forward to retirement in a relaxing environment offered in South Forbes,” Ng said.